Do you ever look in your card pile and realize you don't have enough basic sentiments? This happens to me sometimes, so I tried to remedy that a bit with this card that simply says: Noted. I think it will work well for a thank you card or a congratulatory card or teacher card. I made this card with the March kit at My Creative Scrapbook. The kit features the pretty Collectable line from My Mind's Eye. To give this card a little extra flair, I made a simple paper bow. I started by cutting 3 strips of paper the same width but different lengths: 5.5 inches, 4.5 inches and 3.5 inches. I notched the end of the longest strip. This will be the base of the bow. The next step is to fold over the two smaller papers to form a circle. Press the circles down in the middle and secure. I secured them with stitching but adhesive would work too. I layered the smallest circle on the larger one and placed them in the middle of the notched strip. I punched a small scallop circle from patterned paper and put it on top. Then I used a hole punch to go through the center of all the layers and added a brad in the center. To curl the edges of the bow, I wrapped them around a pencil. 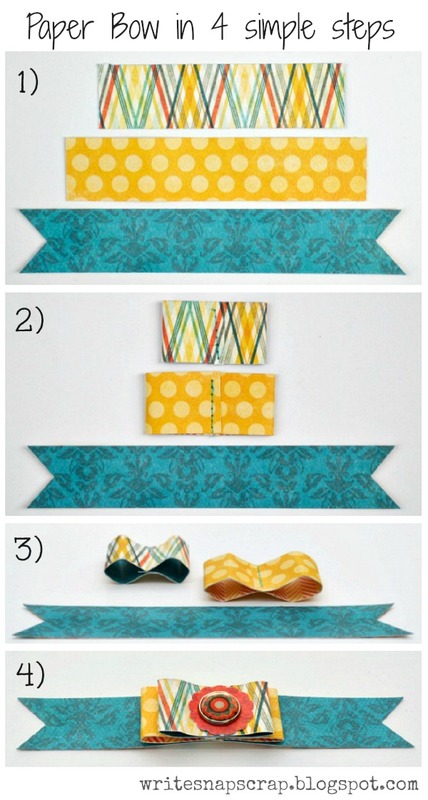 I pinned your bow tutorial - I definitely want to try it! Your card is beautiful. Such a great way to add a special touch to a beautiful card, Izzy. Thank you for showing how you did it. Thanks for the tutorial for the bow~sweet!! Love the card!!!! Thanks for sharing this...it looks like it might fit in the envelope for the post even. 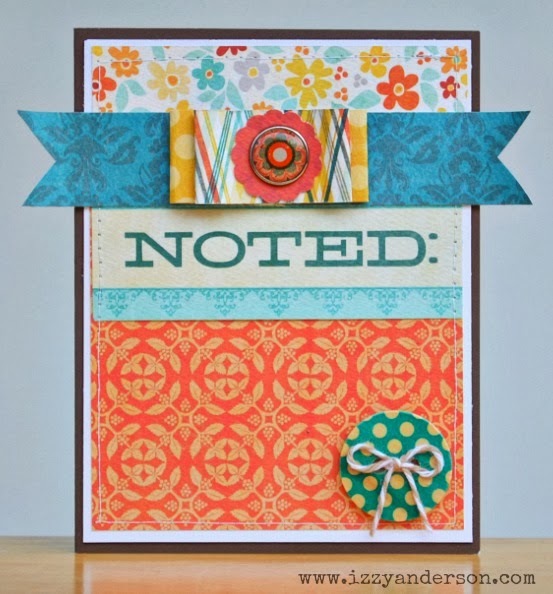 What a fun accent and such fun colors. Pretty card. Thanks for sharing how you made the bow. This is such a great idea! I love it!!! Gorgeous!! I loveeeeee those colors and that BOW is AMAZING! WOW!!! This is so pretty! Great colors and I love that bow! Beautiful card, Izzy! Those colors and paper bow are awesome! 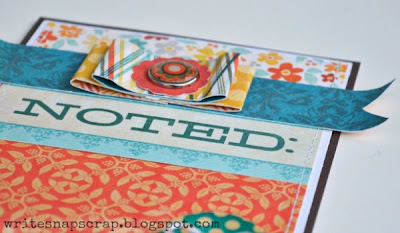 My Creative Scrapbook March Sneak Peeks! PaperHaus Spring Hop and Giveaway!